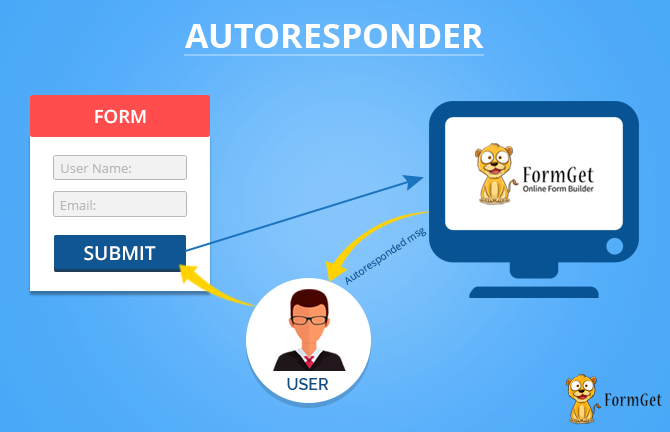 FormGet forms provide you the best autoresponder forms feature that makes your forms more lively from a user’s perspective. On the other hand, it keeps you aware of the every event taking place in your forms. As soon as an entry is submitted by a user successfully, autoresponders will notify them instantly on their screen, and automatic email notifications are sent to sender’s mail as well as to admin’s mail. This automatic notification email is also sent when the payment is received or sent. Auto responders give instant email notification regarding received payments or any new entry. You can customize auto responder and change the subject line message according to you and convey about successful data submission in a personalized manner.